We woke to a lovely peaceful anchorage and spent the morning pottering on the boat doing boat-wifery. 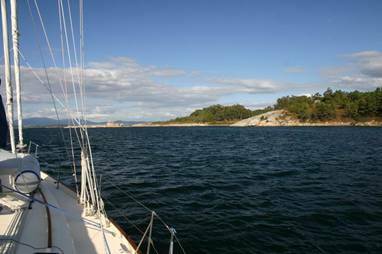 We then went exploring the Ria de Arosa and found a lovely late lunch anchorage off Isla de Arosa. It’s really beautiful exploring the Ria but you have to watch out for all the rocks and hundreds (literally) of viveros. These are large wooden rafts, often dilapidated, where mussels are grown on ropes hanging beneath. We then decided that we would anchor at Isla Toxa which sounded lovely in the pilot book, but the anchorage turned out to be unsuitable due to the strong northerly wind that suddenly developed. We therefore had to make a last minute dash over to the other side of the Ria before it got dark, avoiding the viveros in the last of the daylight to find a more sheltered anchorage. 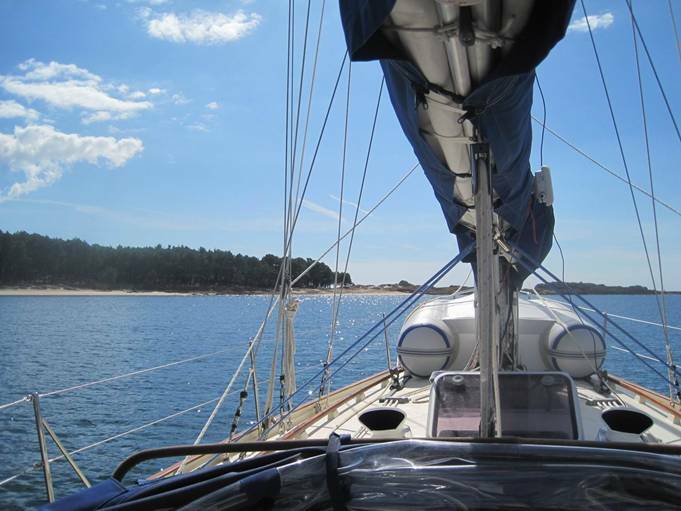 We’re now anchored off Santa Uxia de Riveira having had a bumpy night as the northerly wind didn’t abate. 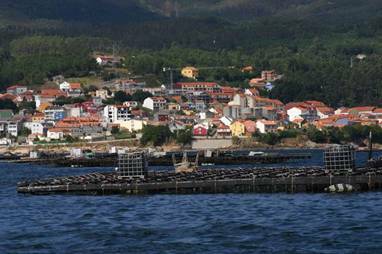 Today we’re off to the next Ria – Ria de Pontevedra.